The following are the colors as recognized by the International Hedgehog Association. 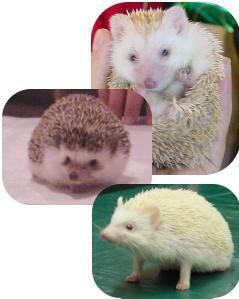 For images of the hedgehog colors please vist the IHA's Colour Guide or the color guide on Hedgehog Central. The remaining characteristics are the same as the Apricot. The white colors are animals which possess almost 100% solid white quills. Remainging characteristics are the same.